Guy wasn't terrible but I was coasting to an easy 3-0 win (with my much better team), so he puts on his mic and starts raging at me for using high rated players. Love the team. But yeah, can’t expect to win at high levels with that unless you’re just lights out amazing. WL would have the opponents username where it says "Upcoming Opponent", probably in seasons. Online single match. And yeah, it was strange to see someone using a unique, low-rated team, and then complaining about using a worse team. Japan U17s vs England at half now 0-0. 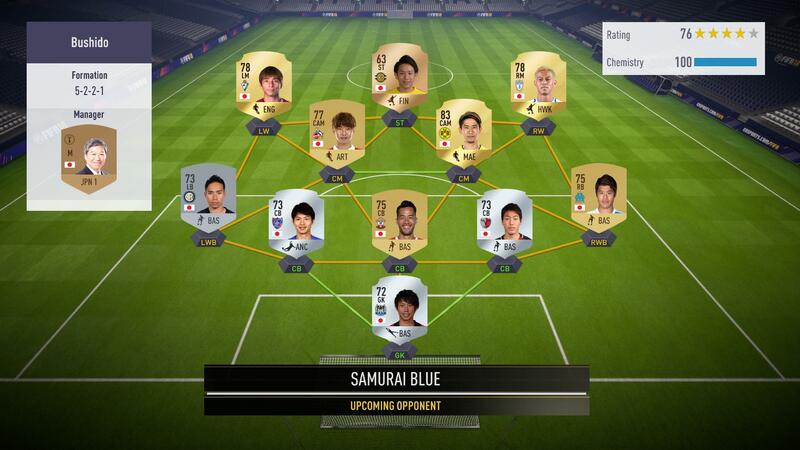 Let's see if Nakamura or Japanese Messi can carry Japan through! dang, U17s out on PKs... I thought England were supposed to be bad at these! They take on Saudi powerhouse Al-Hilal in a two leg series next month. Yeah! J-league rep! Have J-league won AFC Champions League before? Yes, since the competition changed to the AFC Champions League in 2002, Japanese teams have won the competition 2 times. Urawa and then Gamba back to back in 2007 and 2008 respectively. I wish Kazu Miura was in the game, be interesting to see what kind of stats he would get. Dude is my idol, goes off to Brazil in his teenage years on his own to get experience and is still playing at 50 years old. In fact, I played Championship Manager 97/98 the other day and signed the guy... The fact that he's still playing is mind blowing. Also noticed they totally forgot Wanderson. Smh. Cool! I will definitely look them up. 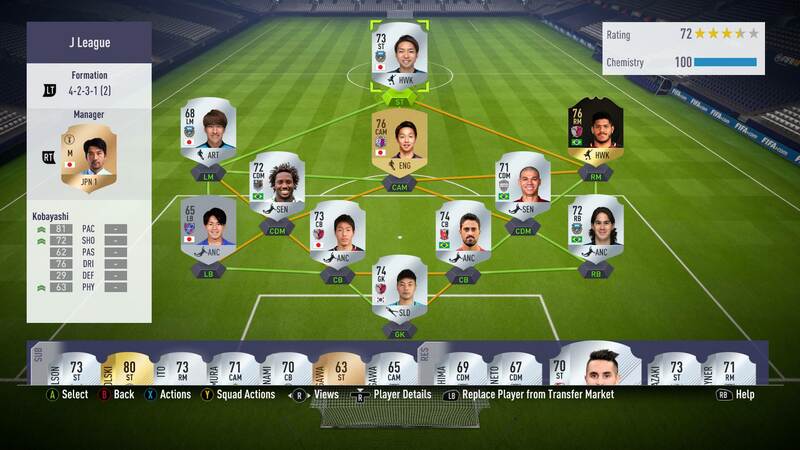 I just really want to play with Kagawa again, so will be nice to build a team around him. right; that'd make sense then. did you mean Yu Kobayashi the silver striker? Hey @Boothy, when the K-League splits into the Championship and Relegation matchups, is there a new table between the top half and the bottom half? Or do they use the same table but the teams in the top half are just playing each other and the same for the bottom? Different tables but keep same points as before iirc. For example Pohang can't finish any higher than 7th even if they have end up with more points than Gangwon. I have been really busy these past few weekends, so I haven't been able to watch any games since I have had to have a normal sleep schedule, but Im going to go back through and update the tables and stuff now. 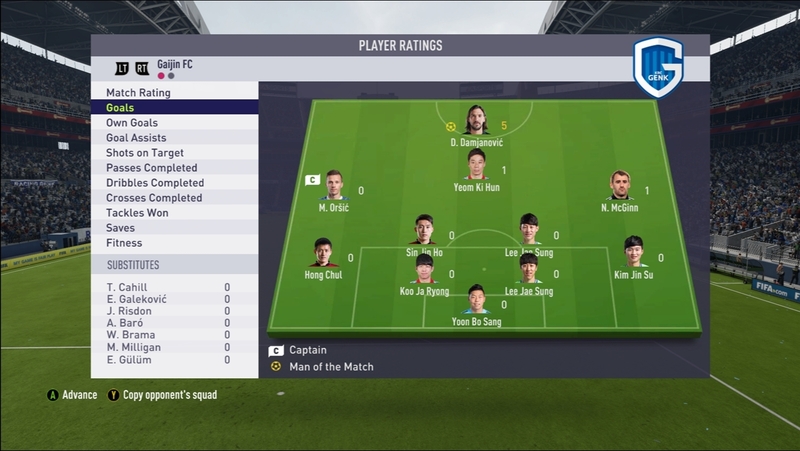 Also, yesterday I won the DKT with my K-League squad (quite easily too). Damjanovic is an excellent finisher and target man. Scored a couple of good headers and took his 1 on 1 chances well. 9/10 for value, 6.5/10 compared to all other strikers. The team played really well using that formation, which is one of the best formations in the game this year, so it definitely helps. The main problem with low rated players thie year is their ball control. Running with the ball at speed and first touches can be a big let down. I found that playing slow and letting the off the ball movement do all the hard work was the best course of action. I don't think there was a single weak link in the team either. Each player was good at something at the very least, and no player really got caught out a lot or was useless. The top players were easily Damjanovic, McGinn, and Hong Chul. Damjanovic I mentioned earlier, McGinn is very good on the ball and was pretty clinical, even on his weak foot, and Hong Chul is insanely rapid; probably why he is one of the best silver LB in the game. no Japanese IFs yet, rite?